Electroplating a metal object starts with lowering it into a electrolyte solution with dissolving ions of another metal-type in it. After submerging the object,Running an electric current through both the object and the plating solution creates a bond. The resulting electric charge causes ions of the plating solution to adhere to the surface areas of the metal piece. The longer the object is in the solution the thicker the plating becomes. 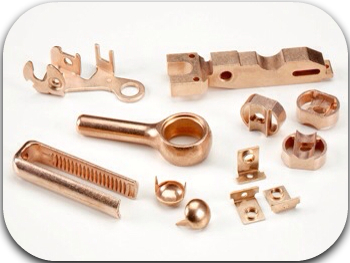 In general, the process takes time and commitment from the individual who is doing the actual electroplating. In addition, the process takes a significant amount of precision and skill. So the questions is: Why go through all of this trouble? There are several benefits of metal plating that make electroplated objects stronger and more efficient. What are the Benefits of Metal Plating? 1. Corrosion Resistance – Metallic corrosion impacts nearly every industry in the United States. Based on a study conducted by the Federal Highway Administration (FHWA), corrosion causes over $250 billion in annual replacement and repair costs. One effective way of reducing corrosion is to coat sensitive surfaces with a layering of a less reactive metal. 2. Heat Resistance – Metals like silver have an extremely high tolerance to heat. This makes these metals excellent candidates for the automobile and aviation industries. 3. Increased Strength and Hardness – Many metals are more malleable and soft in terms of composition (Ex. Gold or Copper). Metal plating with nickel or chrome may improve durability and overall resistance to damage. 4.Conduction – Ever metal has its purposes, as a result using metals for their hardness, others for their ductility, or their resistance to corrosion is normal. Many metals posses conductive properties. Conductive metals are incredibly helpful in making the electronics, aeronautic, automobile, and communications industries. 5. Aesthetic Purposes – Plating and metal finishing your antiques is a great way to finally incorporate them into your living space. They will retain their classic character and continue to be a center of conversation, but with a new finish they will gain a modern edge. Gold is a noble metals, meaning it is resistant to corrosion and oxidation in most environments. It is the most non-reactive of all metals. Gold never reacts with oxygen, making this material resistant to rust or tarnishing. Applying a perfectly thin gold coating is incredibly important as a result, even the smallest holes will cause corrosion to occur. Gold is also an excellent conductor of electricity. Silver is also very close to a noble metal, however, sulfur may cause pitting and deterioration on the metals surface. It is also the most electrically conductive of all metals. Using silver to coat semiconductors and other electrical devices is the smartest option. Like gold, silver is costly, making the metal less economical for many projects. Tin and nickel are not noble metals; however, they are still very resistant to corrosion. These metals are referred to as passive metals and obtain their resistance to corrosion from a thin oxide film on the surface of the metal. The film inhibits corrosion and protects from further deterioration. However, it is important to note that both tin and nickel may be vulnerable to open pores on the plating depending on the density of the layering. Electroless Nickel is another excellent way to protect metals from corrosion. Because a current is not used, electroless nickel is evenly distributed on the surface and lacks the pours which may occur in the electrolytic nickel process. In addition, because electroless nickel contains phosphorus, the coating is even more resistant to corrosion.Electroless Nickel Plating can be used to protect the metal of a work-piece from the elements of nature that can lead toward corrosion and often, the failure of a metallic device. Hopefully this information gave you a little more insight into the benefits of metal plating. However, if you need more information on the topic feel free to contact us! American Plating has widespread applications in the interior decor industry, and in lighting and plumbing industries. Brass, and silver plating are used to refurbish antiques that have lost their luster over time. Nickel, gold,and silver plating are done to enhance the look of various fixtures and make them resilient to the effect of constant moisture exposure. In addition, when commercial plating is used for surgical and medical instruments it helps to preserve their longevity, and helps to ward off the risk of infections caused by microorganisms that can take refuge under the layers of corroded metal. For a price estimate call American Plating Company at (314) 776-0542 or e-mail us through our Contact page.